EDIT: If you want to get a brand package template you can find one here. 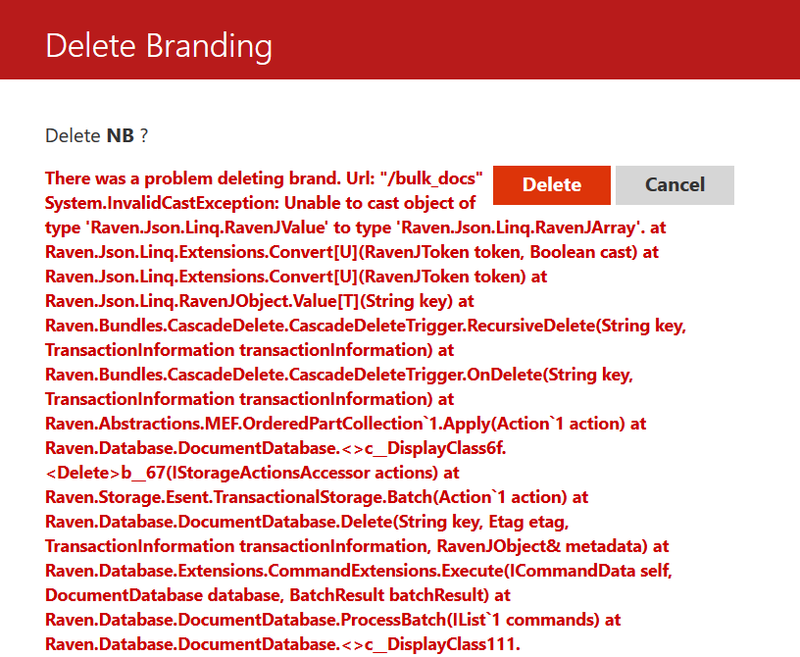 Do not copy/paste filenames for a brand package directly from the Datazen “End User Documentation”! Some of the dashes are em dashes and is not recognized by the server when you try to upload the .zip file with all the images. It will result in the following error message. You can see that the character in red circle which looked like a dash is now read as a û. Now, this wouldn’t be too bad if it wasn’t for the fact that I am now unable to delete this brand package as shown below. I uploaded this package to the server and I can upload another brand package to my individual HUBs, but for now I have yet to be able to delete the faulty brand package. I’m guessing I need to be able to access the RavenDB and delete it from there, but since this is a test server without a lot of dashboards I think I’ll just reinstall the server and start from scratch again.